If you click on the 'Quick Freight Estimator' link under 'Information Pages you will be able to see if we deliver to your town. When you create a free account and place an order your shipping costs will be automatically calculated for you when Checking-Out. Do I need an account to browse? No you don't.You can even start to put an order together by adding plants to your shopping-cart, but eventually when go through Check-Out, in order to calculate your shipping costs and to choose your payment option, you will need to provide us with the necessary details we need to deliver your order to you. Then, as a member you will never have to type your details in again. Is there a minimum amount of plants that I need to buy? Yes, there is now a Minimum Total Order limit of 25 plants, due to problems we have had shipping very small orders (ie plant boxes falling over sideways, due to lack of weight. 25 plants fills the smallest box size and overcomes this problem. How can I quickly find plants and with the certain characteristics i'm after? The box at the top of the page that says 'Start Typing a Product Name...' can go a long way towards heading you in the right direction to find the plants that you're after. Just as an example, if you type in frost resistant and press enter, you will get a full listing of all the Frost Resistant plants in our catalogue. What States do we send plants to? Currently we only send plants to NSW, QLD, ACT and VIC. 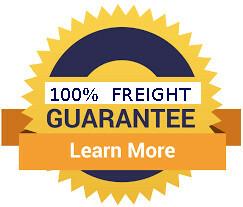 This is due to the lengthy freight times experienced sending to other States. My apologies.